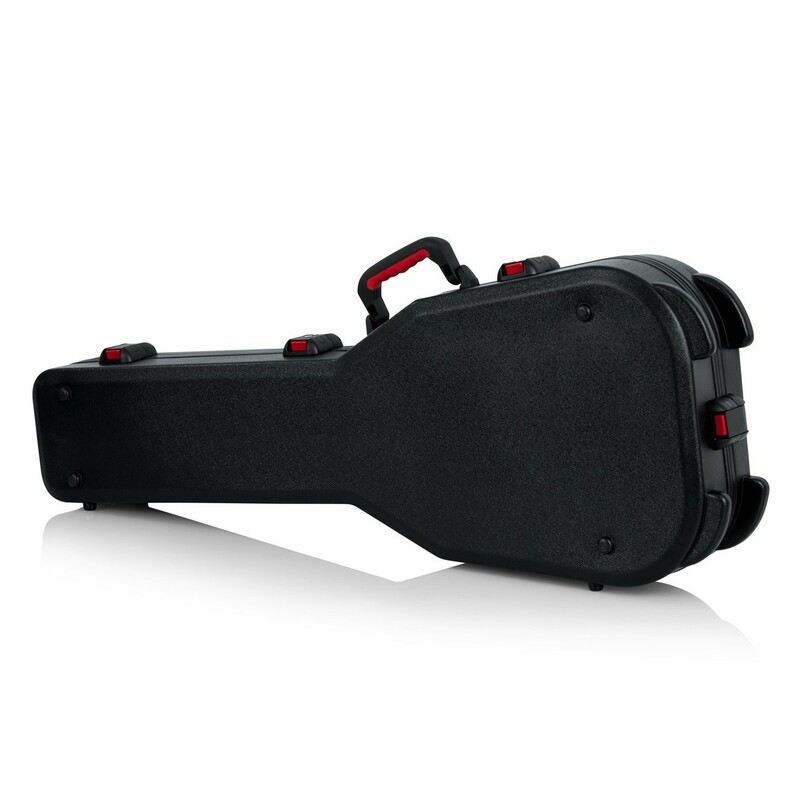 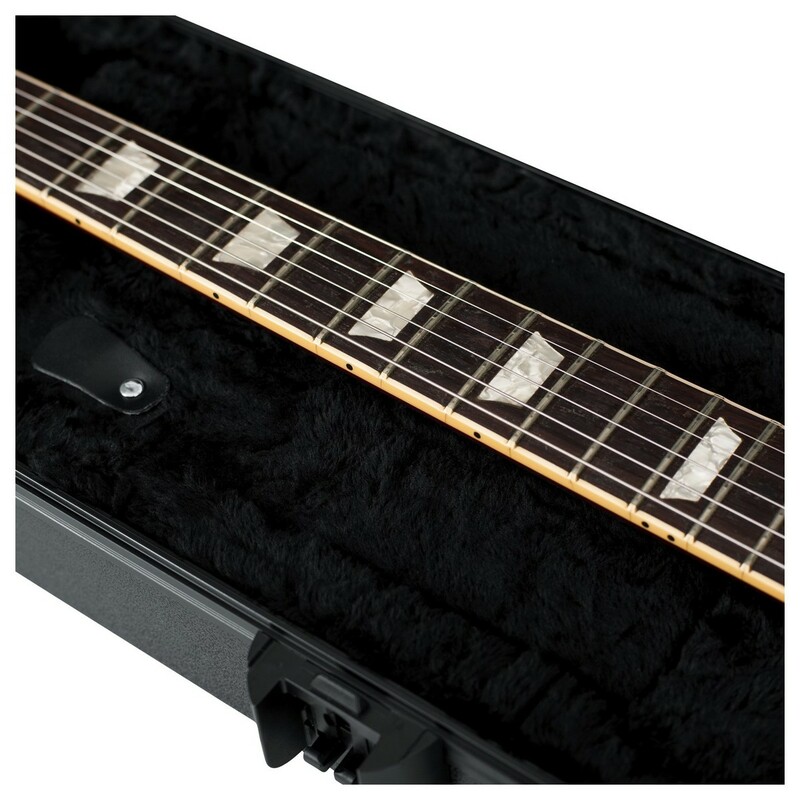 The Gator GTSA-GTRSG ATA Moulded Case For Double-Cut Electric Guitars is crafted from military-grade polyethylene, and features an EPS protective foam interior nest with a thick black plush lining. 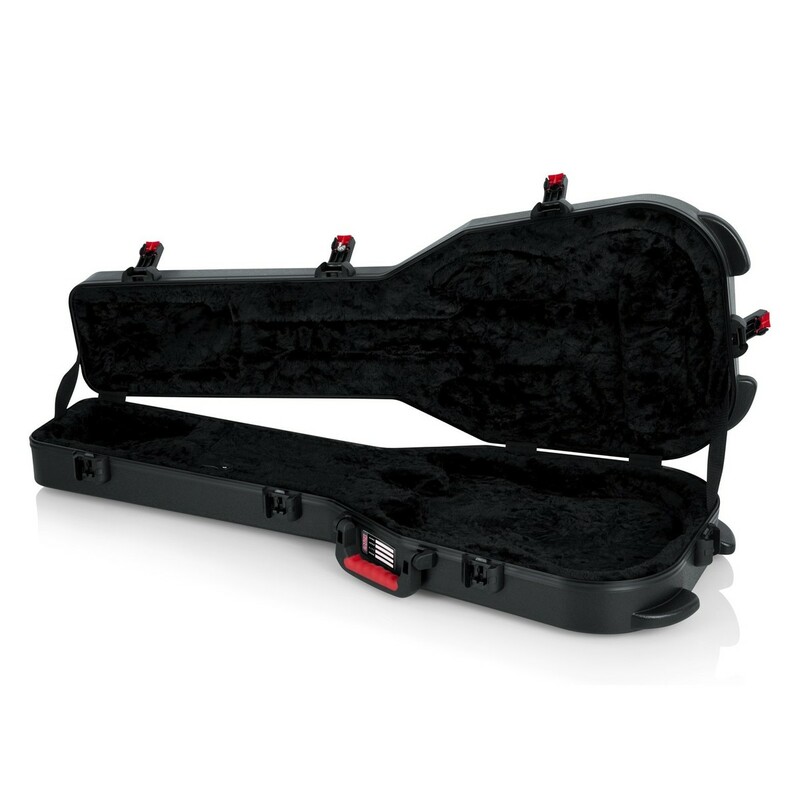 The GTSA-GTRSG is designed to provide exceptional protection for your instrument, and features an extended-reach protective neck cradle, as well as a TSA-approved lockable centre-latch, making the case perfect for air travel. 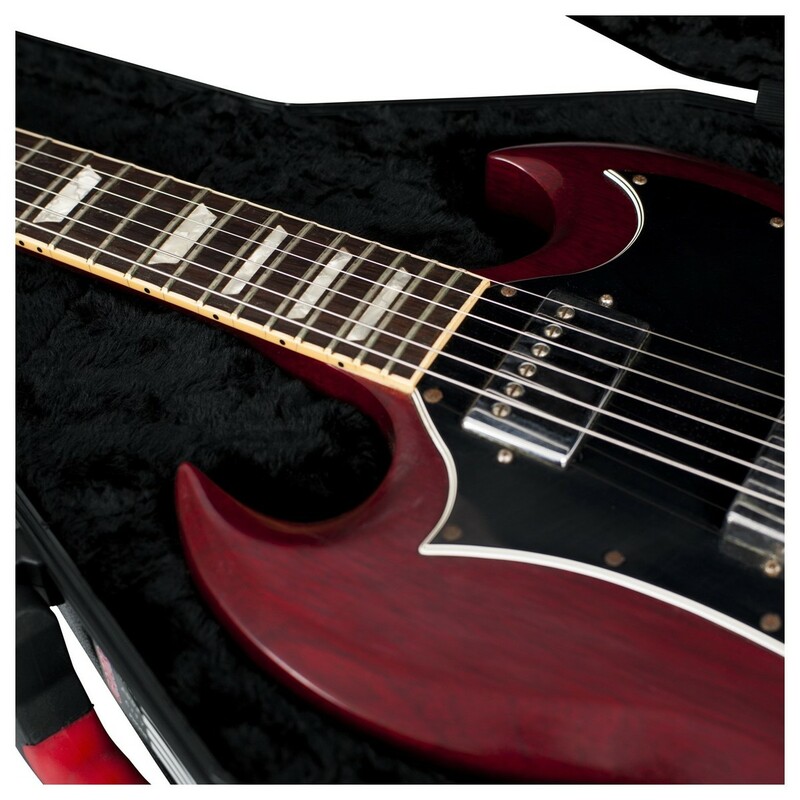 Each latch utilises a surface-mounted impact-diversion housing and a vibrant red release trigger. 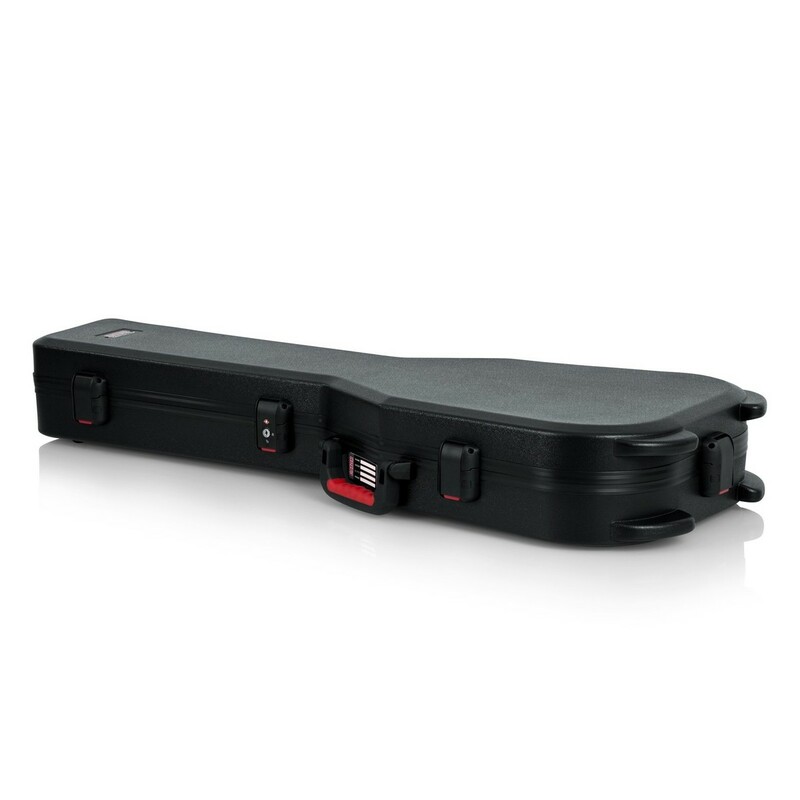 A comfortable Ergo-Grip injection-moulded carry handle ensures simple transportation, whilst black powder-coated hardware and a continuous valance provide the perfect finishing touches. 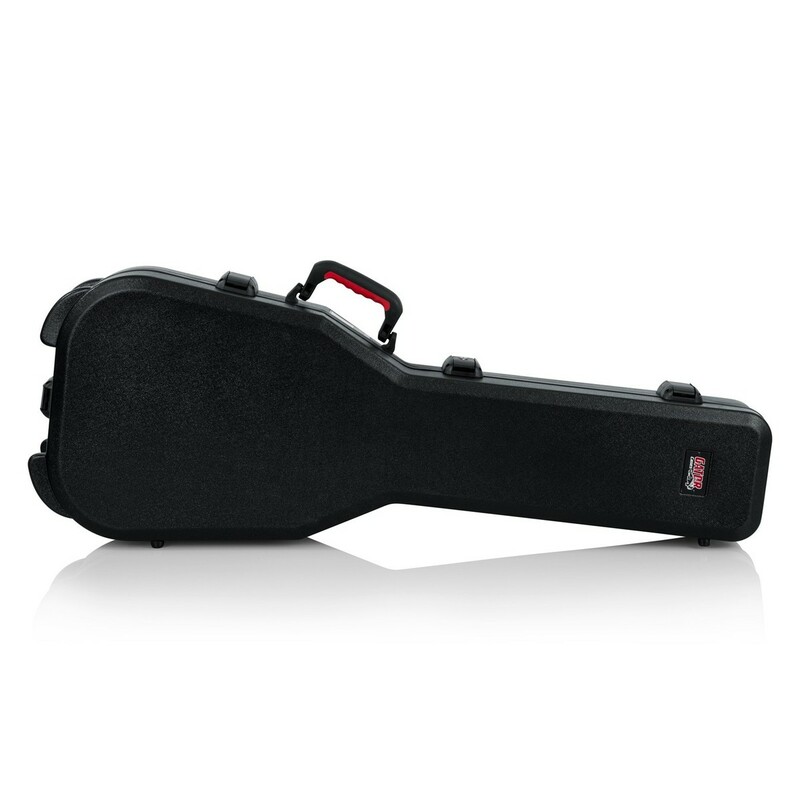 Please Note: The images shown are for display purposes only, and the Gator GTSA-GTRSG does not include the guitar(s) depicted within the images.